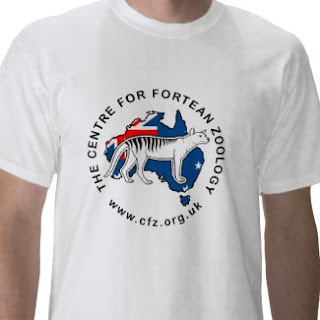 Order your custom CFZ Australia t-shirt, and support the Centre for Fortean Zoology (and get a great t-shirt!). Perched 60m up an ancient gum tree in a remote part of south-west Tasmania, Miranda Gibson's tree-top home has a spectacular view across one of the biggest untouched tracts of temperate rainforest left in the southern hemisphere. 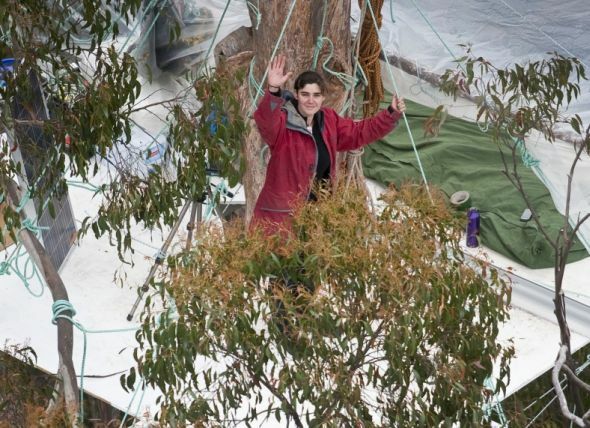 For more than three months, 30-year-old Gibson has been living high above the canopy floor that is the home to some of Australia's most threatened indigenous wildlife, including the Tasmanian devil and spotted tail quolls. Flying overhead are the equally threatened Tasmanian white goshawks and wedge-tailed eagles. But Gibson's arboreal home is under imminent threat. These ancient forests are currently unprotected and could be destroyed by logging any day. In a dramatic bid to save the trees and its wildlife from the chop, Gibson has created the Observer Tree, a global media centre bristling with the latest digital technology to bear witness to the encroaching bulldozers and loggers. "My aim has been to bring the images of the forests and the truth about the ongoing logging of these areas to the international community and beam my forest protection message across the world," says Gibson. Amateur angler Jamie Finger was fishing from the old Mowbray River Bridge near Port Douglas when he snagged the saltwater croc. 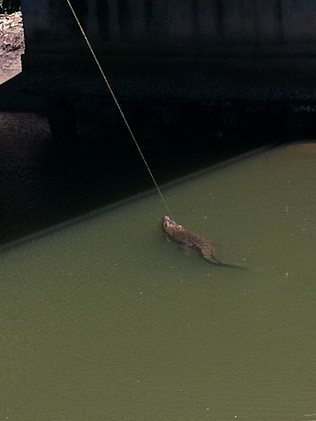 Using 12.5kg breaking strain line and a prawn bought from a supermarket, Mr Finger was fishing alone about noon when the saltie struck. 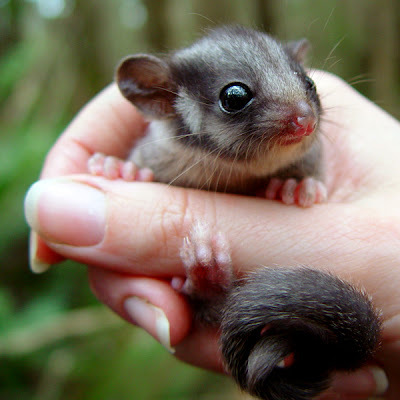 The Leadbeater’s Possum is tiny. Just 10 centimetres long and weighing less than 100 grams, it can easily nestle in the palm of your hand. And with its long, bushy tail and big, inquisitive eyes, it certainly qualifies as cute and cuddly. 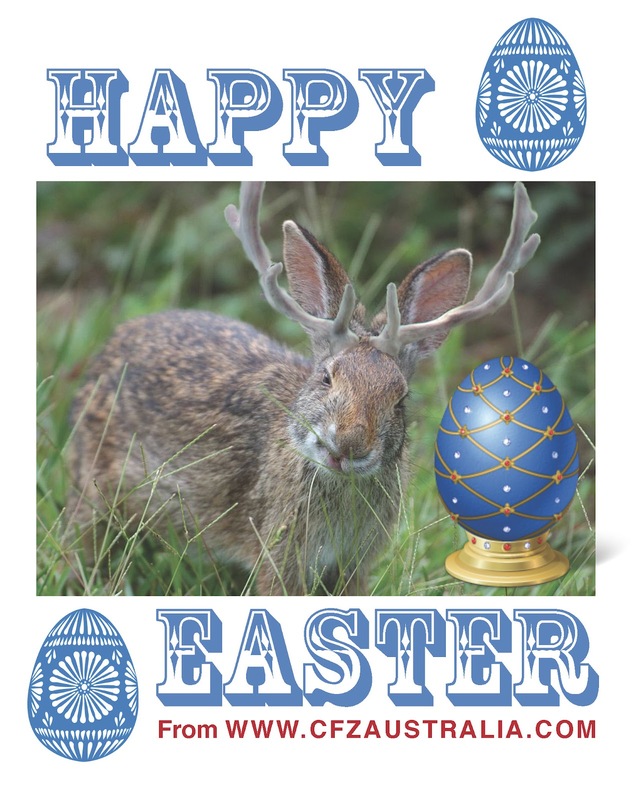 It’s a Victorian icon, too – it was anointed the state’s faunal emblem in 1968. But the Leadbeater’s Possum is in critical danger. It is estimated that fewer than 1000 remain in Victoria since their numbers were decimated by the Black Saturday bushfires in 2009. In February, Zoos Victoria rangers rescued the last three Leadbeater’s Possums from Lake Mountain and took them to Healesville Sanctuary, where they have become the only examples of the species in captivity anywhere in the world. Lowry hopes that within three years, Zoos Victoria will have bred enough of them to integrate them back into the wild. The animal is not alone in its plight. 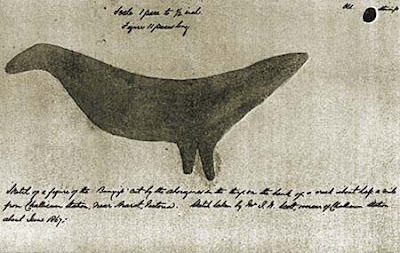 In 2009, Lowry and her colleagues identified 20 Victorian species that were within a few years of becoming extinct. 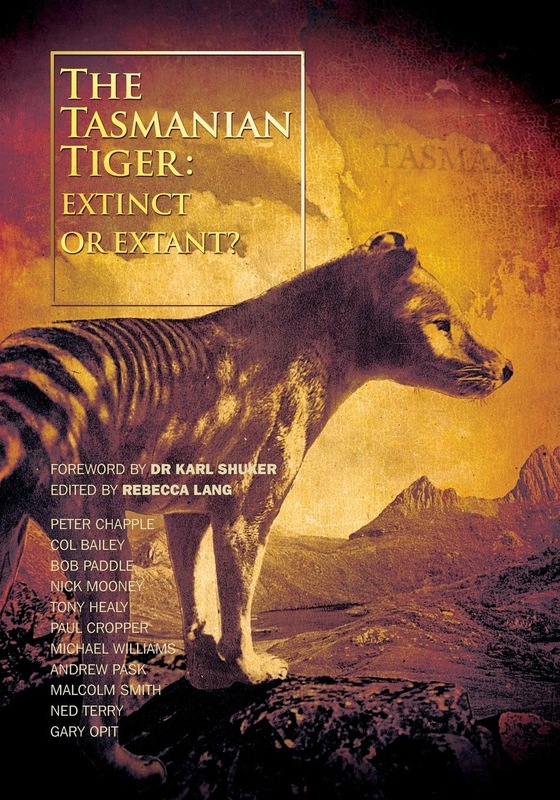 Also on the list are the Tasmanian devil, the Eastern barred bandicoot, the Mountain pygmy-possum and the Helmeted Honeyeater, among others. 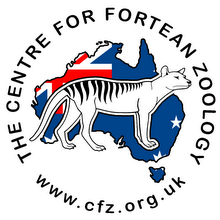 They form Zoos Victoria’s Threatened Species Program, one of the organisation’s conservation projects. “We didn’t want to keep getting phone calls when certain species were down to the last handful. It’s too late then and it’s so demoralising to miss out on saving a species,” says Lowry, recalling how her team narrowly missed out on saving the last Pipistrelle bat on Christmas Island that year. “When you have species literally hanging on and literally in one locality, something like a natural disaster can wipe them out,” she says. While many Melburnians have fond memories of visiting Melbourne Zoo, and perhaps taking overseas visitors to the world-class Parkville attraction, Lowry stresses that the zoo’s focus has not been on entertainment “for such a long time”. With Melbourne Zoo’s 150th birthday drawing closer (October 6), Lowry and her colleagues are trying to engage community support not only for the Threatened Species Program but also for other conservation work. Late last year, Zoos Victoria launched its Safe Haven Appeal to raise $85 million over the next five years to modernise what Lowry calls the zoo’s “ageing exhibits” and support its conservation projects. Providing a fun day out for families is a byproduct of the zoos’ conservation work, says Sutton-Legaud. “Most people in Victoria love our zoos, but if they’re of a certain age, chances are they haven’t been out here since they were kids,” she says. “That means they don’t understand how we’ve changed and how our focus is to become a world-leading zoo-based conservation organisation. The Safe Haven Appeal has funded a new gorilla exhibit at Werribee and an interactive educational precinct, Growing Wild, at Melbourne Zoo, the first stage of which is expected to be open in time for the 150th celebrations in October. The Threatened Species Program, which runs at a cost of $2?million, has already had several successes. A small number of Eastern barred bandicoots, rabbit-sized marsupials thought in the 1990s to be extinct, was found in a rubbish tip in Hamilton. “We stepped in, learnt how to breed them and now we’ve been doing some trial releases,” says Lowry. Visitors to Werribee Open Range Zoo can see the bandicoots in their natural basalt plains environment. 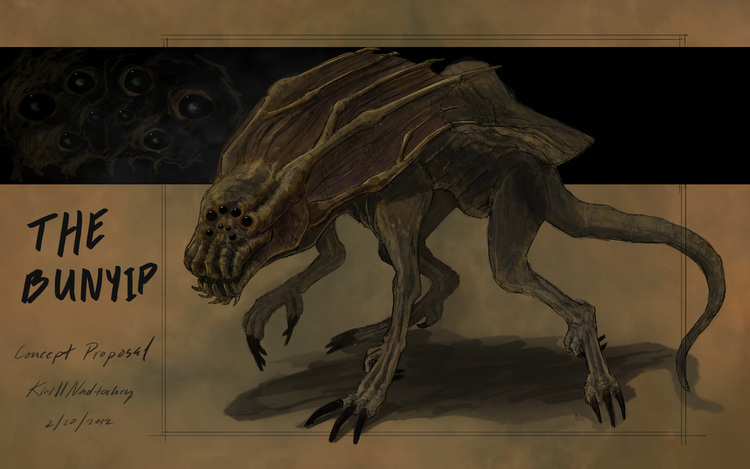 When other species are at a similar stage, they will also be on show. Zoos Victoria’s threatened species biologist, Dan Harley, who has been involved with the program since it started, says the zoo has “close to half” the 20 threatened species in captivity. He and his team spend months researching a species before “collection day”, when they hope to capture the animals. 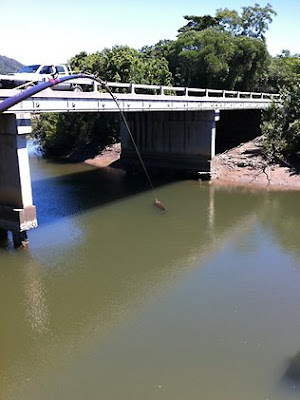 The creatures are then monitored around the clock before they undergo a breeding program. They are eventually reintroduced into the wild. Lowry has spearheaded two successful Zoos Victoria campaigns. More than 50,000 old mobile phones have been donated to financially support rangers in the Democratic Republic of Congo, where illegal mining of coltan, used in phones, threatens gorilla habitat. The fight for mandatory labelling of palm oil in food products continues, even though the Truth in Labelling–Palm Oil Bill was rejected by the House of Representatives’ economics committee last year. More than 160,000 people signed a petition to support the bill, which Lowry believes could help save some of the estimated 50 orang-utans that die each week because their habitats are being cleared for palm oil plantations. In Melbourne Zoo’s 150th year, Sutton-Legaud hopes people dig into their pockets for the world-class conservation work being done in our backyard. “The zoo has never really been on the radar of many people as to where they would give their donations,” she says. “But everything helps – from buying something in our stores to adopting an animal or becoming a member of the zoo. 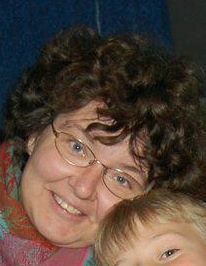 The wife of our good friend, cryptozoologist Lars Thomas, is still missing. Lars thanked everyone this week for rallying behind his search for his missing wife Jeanett Rask Thomas. He also penned this heartfelt tribute to his wife. Please take a moment to read it. 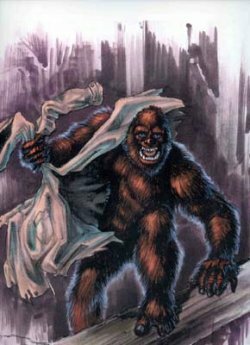 The latest episode of the CFZ monthly webTV show brings you news on CFZ activities within cryptozoology and natural history as well as the latest cryptozoological, and monster-hunting news from around the world. A penguin in the woods? 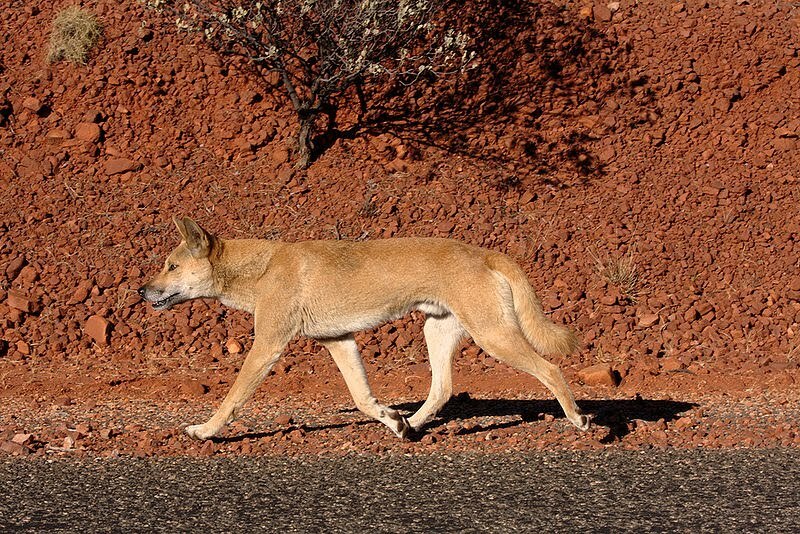 Dingoes and Devils the answer for Australia? A new paper to be published in the May edition of Trends in Ecology and Evolution suggests dingoes and Tasmanian devils could control invasive species, such as cats and foxes, as well as overabundant herbivores. "We need to be quite bold and allow predators back into the landscape and see if they can reverse some of the damage we've done," said Dr Euan Ritchie, ecologist at Deakin University in Melbourne and lead author of the paper. "Recent advances highlight the potential for predators to restore ecosystems and confer resilience against globally threatening processes, including climate change and biological invasions. However, releasing the ecological benefits of predators entails significant challenges. Here, we discuss the economic, environmental and social considerations affecting predator-driven ecological restoration programmes, and suggest approaches for reducing the undesirable impacts of predators. Because the roles of predators are context dependent, we argue for increased emphasis on predator functionality in ecosystems and less on the identities and origins of species and genotypes. We emphasise that insufficient attention is currently given to the importance of variation in the social structures and behaviours of predators in influencing the dynamics of trophic interactions. Lastly, we outline experiments specifically designed to clarify the ecological roles of predators and their potential utility in ecosystem restoration." 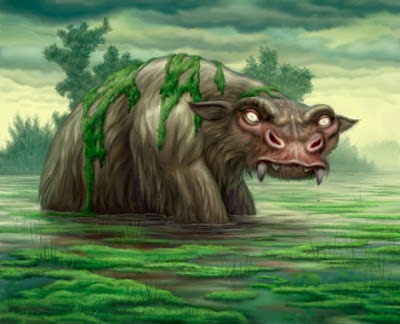 What does a Bunyip look like? The folk over at The Bunyip Movie are busy creating the monster of the title, and have come up with the concept above - which to our way of thinking smacks a little of the repulsive reptilians of Alien fame! 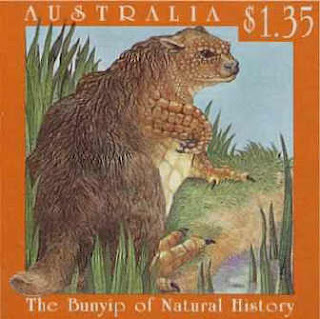 So we thought it was worth pondering on the blog: what do Bunyips look like? 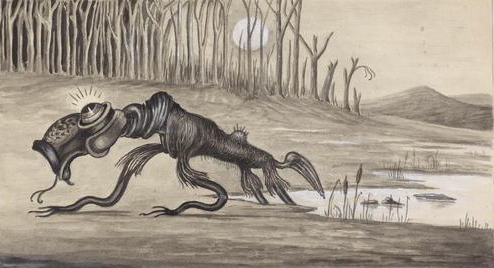 Escaped convict William Buckley, in his 1852 biography of 30 years living with the Wathaurong people, recounts "in... Lake Moodewarri [now Lake Modewarre] as well as in most of the others inland...is a...very extraordinary amphibious animal, which the natives call Bunyip. I could never see any part, except the back, which appeared to be covered with feathers of a dusky grey colour. It seemed to be about the size of a full grown calf... 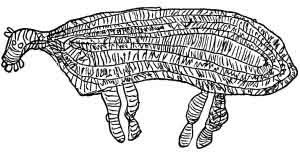 I could never learn from any of the natives that they had seen either the head or tail." Naturalist George French Angas collected a description of a bunyip as a "water spirit" from the Moorundi people of the Murray River before 1847, stating it was "much dreaded by them… It inhabits the Murray; but…they have some difficulty describing it. Its most usual form…is said to be that of an enormous starfish. 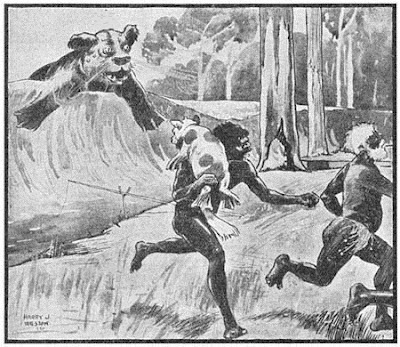 "Robert Brough Smyth's Aborigines of Victoria of 1878 devoted 10 pages to the bunyip, but concluded "in truth little is known among the blacks respecting its form, covering or habits; they appear to have been in such dread of it as to have been unable to take note of its characteristics." 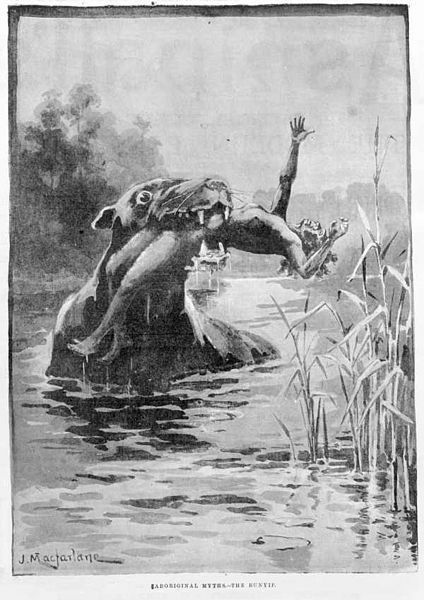 In many 19th-century newspaper accounts the bunyip was variously attributed a dog-like face, dark fur, a horse-like tail, flippers, and walrus-like tusks or horns or a duck-like bill. 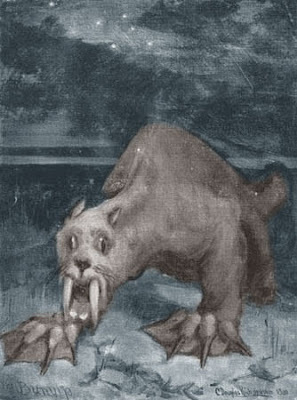 Many modern-day researchers now believe the descriptions may have referred to seals or walruses, or even a 'cultural memory of megafauna such as the diprotodon. Quite a few artists have had a crack at the water-dwelling beastie said to terrorise early colonial Australians and prey on Aborigines - based occasionally on witness testimony and more often springing from their own imagination.